In this past weeks Torah Portion (sh'mini; Leviticus 9:1 - 11:47) we continued reading about the Levitical system of priests and sacrifices. At the beginning of this portion we read about the very first High Priest (Aaron) making the very first sacrifice for the very first time in the history of Israel. In Exodus we read about the instructions of the tabernacle and where everything is placed, the utensils, the altar, the incense, the clothing of the priests, the lineage of the priests, the show bread, the menorah, the curtain, the outer court, the inner court, the holy place, the holy of holies, the presence of God. Finally, here, we begin to see all of this in action. 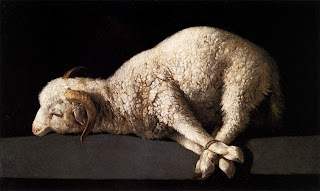 Lev 9:1-2 says, "On the eighth day, Moshe called Aharon, his sons and the leaders of Isra'el, and said to Aharon, 'Take a male calf for a sin offering and a ram for a burnt offering, both without defect, and offer them before ADONAI.'" In verse 6, "Moshe said, 'This is what ADONAI has ordered you to do, so that the glory of ADONAI will appear to you.'" and then the very first High Priest makes the very first sacrifice for the very first time. 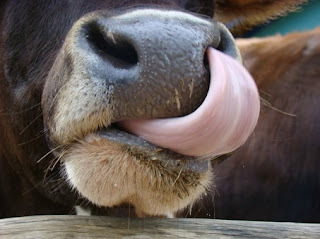 Verse 8 says, "So Aharon approached the altar and slaughtered the calf of the sin offering which was for himself." Then verse 15 says, "Then the people's offering was presented. He took the goat of the sin offering which was for the people, slaughtered it and offered it for sin, like the earlier sin offering." For himself then for the people. Thats the way the levitical system works. The High Priest makes a sacrifice for himself for his own sins and then makes sacrifices for the people only after his sins have been forgiven. It would be a game changer if the High Priest didn't have to sacrifice for himself. And what if we only needed one high priest? The book of Hebrews talks about this. Also this shows how much better is the covenant of which Yeshua has become guarantor. Moreover, the present cohanim (priests) are many in number, because they are prevented by death from continuing in office. But because he lives forever, his position as cohen (priest)does not pass on to someone else; and consequently, he is totally able to deliver those who approach God through him; since he is alive forever and thus forever able to intercede on their behalf. This is the kind of cohen gadol that meets our need - holy, without evil, without stain, set apart from sinners and raised higher than the heavens; one who does not have the daily necessity, like the other cohanim g'dolim (high priests), of offering up sacrifices first for their own sins and only then for those of the people; because he offered one sacrifice, once and for all, by offering up himself. Wow! Yeshua is such a better deal! But how in the world could Yeshua be the High Priest? He is not a descedant of Aaron. He is not even from the tribe of Levi?! The writer of Hebrews deals with this also. Messiah Yeshua is different. He is apart of a priesthood that came before the levitical system. The one about whom these things are said belongs to another tribe, from which no one has ever served at the altar; for everyone knows that our Lord arose out of Y'hudah, and that Moshe said nothing about this tribe when he spoke about cohanim. It becomes even clearer if a "different kind of cohen," one like Malki-Tzedek (Melchizedek), arises, one who became a cohen not by virtue of a rule in the Torah concerning physical descent, but by virtue of the power of an indestructible life. Yeshua is a priest in the order of Malki-Tzedek. We don't know much about Malki-Tzedek. We know that in the book of Genesis he appears to Abraham. We know that Abraham tithes to him (gives him ten percent of his money). And really thats it. No mother, no father, no history. We don't know any of it. But, he is important enough that Avraham Avinu (Father Abraham) tithes to him. 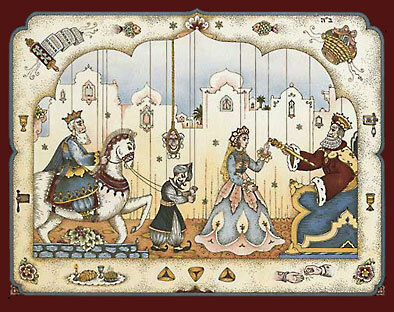 It is possible that "Malki-Tzedek" is a title meaning in Hebrew, "King of Righteousness." In Genesis 14:8 he is refered to as "cohen of El Elyon" (priest of God Most High). A priest but not one in the levitical system. In fact a priest in an order that predates the whole levitical system. So many preachers and theologians teach that the leviticals system has been done away with because of the sacrifice of Yeshua. The book of Hebrews is often used to make this point. But the writer of Hebrews is not making the point that leviticus is done away with, he is making the point that there is a better system. The system that leviticus is a shadow of. Here is the whole point of what we have been saying: we do have just such a cohen gadol as has been described. And he does sit at the right hand of HaG'dulah in heaven. 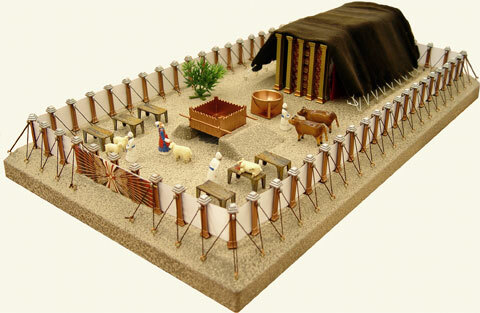 There he serves in the Holy Place, that is, in the true Tent of Meeting, the one erected not by human beings but by ADONAI. For every cohen gadol is appointed to offer both gifts and sacrifices; so this cohen gadol too has to have something he can offer. Now if he were on earth, he wouldn't be a cohen at all, since there already are cohanim offering the gifts required by the Torah. But what they are serving is only a copy and shadow of the heavenly original; for when Moshe was about to erect the Tent, God warned him, "See to it that you make everything according to the pattern you were shown on the mountain." But now the work Yeshua has been given to do is far superior to theirs, just as the covenant he mediates is better. Better is a strong word. What makes Yeshua better is not that the old is irrelevant. What makes Yeshua better is that He is all three parts of the levitical sacrificial system in one person. Yeshua is the sacrifice. Yeshua is the High Priest making the sacrifice. Yeshua is the God receiving the sacrifice. The sacrificial system was never meant as an end all. It was important to "see to it that you make everything according to the patter you where shown on the mountain." Why? because what matters is what is really happening in heaven. The levitical system was given to us so we could have some understanding of the real thing. But when the Messiah appeared as cohen gadol of the good things that are happening already, then, through the greater and more perfect Tent which is not man-made (that is, it is not of this created world), he entered the Holiest Place once and for all. And he entered not by means of the blood of goats and calves, but by means of his own blood, thus setting people free forever. For if sprinkling ceremonially unclean persons with the blood of goats and bulls and the ashes of a heifer restores their outward purity; then how much more the blood of the Messiah, who, through the eternal Spirit, offered himself to God as a sacrifice without blemish, will purify our conscience from works that lead to death, so that we can serve the living God! So, Yeshua is better because He is the real thing. After Yeshua was put death He rose from the dead. After He rose from the dead he appeared for 40 days (during the counting of the omer) resurrected. Then on the 40th day He ascended into heaven and took His place at the right hand of the father. His sacrifice is more effective because we only needed it once. One sacrifice to forgive all sin. Not only that but, his blood still flows. Since Yeshua is alive, and we believe that his resurrection was "bodily" (meaning He is still in his body), His blood will never stop flowing. The blood of bulls and goats ran out. Each sacrifice only covered one sin because the blood dried up. When you cut an animals jugular the blood stops flowing. Since Yeshua is forever alive His blood will always flow and since His blood will always flow it can cover all sin. past, present, future! The sacrifice was a one time deal but the blood flows forever! Wow! That is better! In Revelation John sees the lamb who was slain. Revelation 5:6 says, "Then I saw standing there with the throne and the four living beings, in the circle of the elders, a Lamb that appeared to have been slaughtered." Verse 9 continues, "and they sang a new song, 'You are worthy to take the scroll and break its seals; because you were slaughtered; at the cost of blood you ransomed for God persons from every tribe, language, people and nation.'" Verse 12 says "and they shouted out, 'Worthy is the slaughtered Lamb to receive power, riches, wisdom, strength, honor, glory and praise!'" and verse 14 says, "And I heard every creature in heaven, on earth, under the earth and on the sea- yes, everything in them- saying, 'To the One sitting on the throne and to the Lamb belong praise, honor, glory and power forever and ever!'" John continues in his vision in Revelation 7:9-10, "After this, I looked; and there before me was a huge crowd, too large for anyone to count, from every nation, tribe, people and language. They were standing in front of the throne and in front of the Lamb, dressed in white robes and holding palm branches in their hands; and they shouted, 'Victory to our God, who sits on the throne, and to the Lamb!'" Verses 13-15 say, "One of the elders asked me, 'These people dressed in white robes - who are they, and where are they from?' 'Sir', I answered, 'you know.' Then he told me, 'These are the people who have come out of the Great Persecution. They have washed their robes and made them white with the blood of the Lamb. That is why they are before God's throne. Day and night they serve him in his Temple; and the One who sits on the throne will put his Sh'khinah (Glory) upon them.'" Will put His glory on them. The same thing happened after the very first sacrifice in Leviticus 9:23-24, "Moshe and Aharon entered the tent of meeting, came out and blessed the people. Then the glory of ADONAI appeared to all the people! 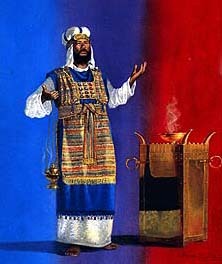 Fire came forth from the presence of ADONAI, consuming the burnt offering and the fat on the altar. When all the people saw it, they shouted and fell on their faces." So, brothers, we have confidence to use the way into the Holiest Place opened by the blood of Yeshua. He inaugurated it for us as a new and living way through the parokhet (Curtain), by means of his flesh. We also have a great cohen over God's household. Therefore, let us approach the Holiest Place with a sincere heart, in the full assurance that comes from trusting-with our hearts sprinkled clean from a bad conscience and our bodies washed with pure water. Let us continue holding fast to the hope we acknowledge, without wavering; for the One who made the promise is trustworthy. 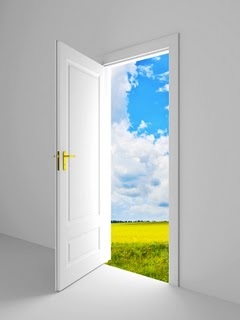 But, how many times do we see the open door and choose not to walk through it. We can be people who live in the presense of God. At work, at school, in our house, at the store. When the hard stuff of life gets in our way. When people attack and pain comes. When hurt is real. THE DOOR IS OPEN. The way has been made! You can go into the very presence of God and stay there and lay yourself out before the creator of universe and bask in His glory. And we can go in any time we want because the blood of our Messiah opened it up to us. The sacrifice, The High Priest, and God. all in the same person. The door is open walk through it! "For such a time as this" is such an awesome phrase. Purim has come and gone for this year but what stays with us is that God is determined to not leave His people behind. Purim is such a great reminder that though people come against us often for following God (or for believing in Him at all) we know that God is with us just as He was with Esther. In the face of certain death Esther stood up for her people. In the day that we live in it is the responsibility of every Messianic Jew and Gentile to stand up for Yeshua our Messiah. For the rest of the Jewish world and for society at large it is not Jewish to believe in Jesus. In fact, not believing in Jesus has, for many, become apart of the definition of Judaism. A Jew can believe in all kinds of things and still be considered Jewish. But, Yeshua! No longer a Jew if you believe in Him. For Gentiles who find themselves apart or involved in the modern Messianic movement it is not all that different. Family and friends wonder if they "have joined a cult" or "hope this is just a fad" or are "worried for their salvation". Some cry, "Why would you get involved in all of that legalism?" or "Don't you know that all that Jewish stuff has been done away with?" This is why Paul encourages us to "Proclaim the Word! be on hand with it whether the time seems right or not" (2 Timothy 4:2). The goal of Messianic Judaism is not to confuse or criticize everyone else who does not believe as we do. Paul continues, "But you, remain steady in every situation, endure suffering, do the work that a proclaimer of the Good News should, and do everything your service to God requires"(2 Timothy 4:5). Whether anyone likes Yeshua or not...believes in Him or not. The foundation of the story is that it is Good News. People can choose to believe that it is "not Jewish" or that it is a "cult." People are free to believe anything they want. But then, so are we! We are free to believe that the Good News is, in its very nature, a Jewish message. A Jewish message that is for everyone. Not because God wants everyone to become Jewish but because God wants everyone to return to Him, their creator, and to trust that He is good. The modern Messianic Synagogal Movement is here "for such a time as this". To help make important corrections for the body of Messiah and work for the salvation of our non-messianic Jewish people and the nations. Peter picks up on this same message when he says, "If you are being insulted because you bear the name of the Messiah, how blessed you are! For the Spirit of the Sh’khinah, that is, the Spirit of God, is resting on you! Let none of you suffer for being a murderer or a thief or an evildoer or a meddler in other people’s affairs. But if anyone suffers for being Messianic, let him not be ashamed; but let him bring glory to God by the way he bears this name. For the time has come for the judgment to begin. It begins with the household of God; and if it starts with us, what will the outcome be for those who are disobeying God’s Good News? — “If the righteous is barely delivered, where will the ungodly and sinful end up?” So let those who are suffering according to God’s will entrust themselves to a faithful Creator by continuing to do what is good." (1 Peter 4:14-19). "If anyone suffers for being Messianic, let him not be ashamed; but let him bring glory to God by the way he bears this name." Messianic comes from the Hebrew for Messiah. It literally means, "follower of Messiah." For those of us that call ourselves Messianic (Messianic Jews or Messianic Gentiles) we should take the name seriously. In everything that we do and say we represent something bigger than ourselves. This is why Peter is careful to remind us that "judgement...begins with the household of God." Why? because we are responsible for what we say and do. "For God will bring to judgment everything we do, including every secret, whether good or bad" (Ecclesiastes 12:14). You have been called to follow God "for such a time as this". Trust. Love. Know that the same God who never left Esther will never leave you. Stand up. Believe. It's Good News. and we've got to tell it by the lives we live more than the words we speak. St. Francis of Assisi said, "Preach the Gospel at all times, if necessary, use words." Bam! Now that's winning! Peter ends his letter with this, "You will have to suffer only a little while; after that, God, who is full of grace, the one who called you to his eternal glory in union with the Messiah, will himself restore, establish and strengthen you and make you firm. To him be the power forever and ever. Amen" (1 Peter 5:10-11). The God of all creation, The God of Israel, wants to HIMSELF restore, establish and strengthen you and make you firm. He is willing. Timing is everything. You have been called "for such a time as this." Jump in. The time is right!